When I told my friends and family that I was moving to teach in South Korea, often their first question was, “Wait, why are you going there? and the second question typically asked was, “Are you living in Seoul?” For most people outside of this country, Seoul is the only city that comes to mind. 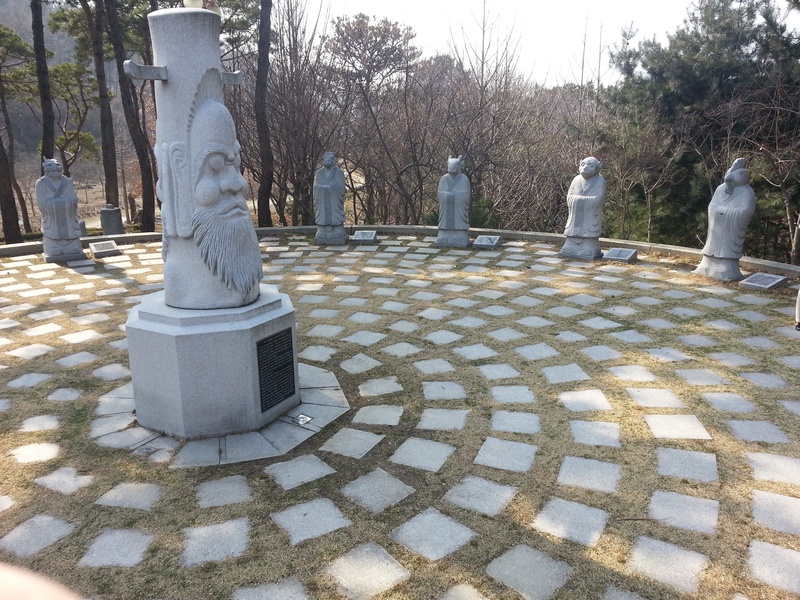 If you have more worldly and cultured friends, then possibly they might have heard of Busan as well, but beyond that South Korea is by and large a geographical mystery to most. Well, I am here, as the eloquent Young Jeezy would say, “put on for my city”, which does not get nearly the respect or acknowledgment that it deserves. Friends, allow me to introduce you to Daejeon, the nerdy younger brother of Seoul that is desperately craving your attention. 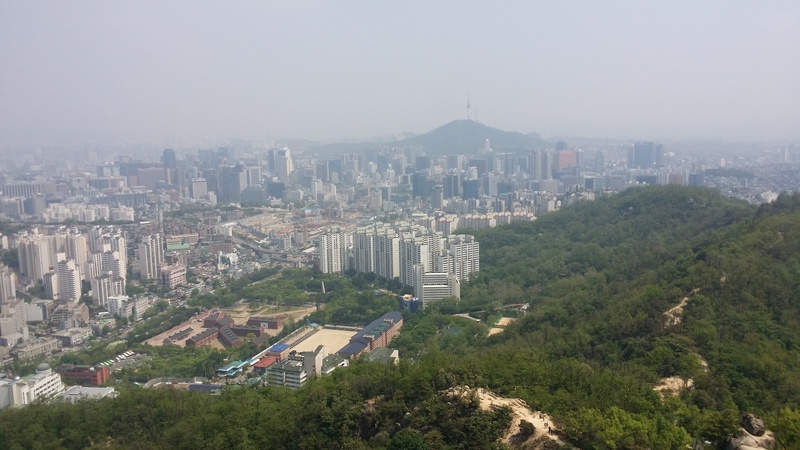 While Daejeon may not have the big city credentials of its beach brother to the southeast or its cosmopolitan cousin to the north, here are three reasons why I love my Korean home city. Coming from the desert, the only seasons I remember were hot and cold. 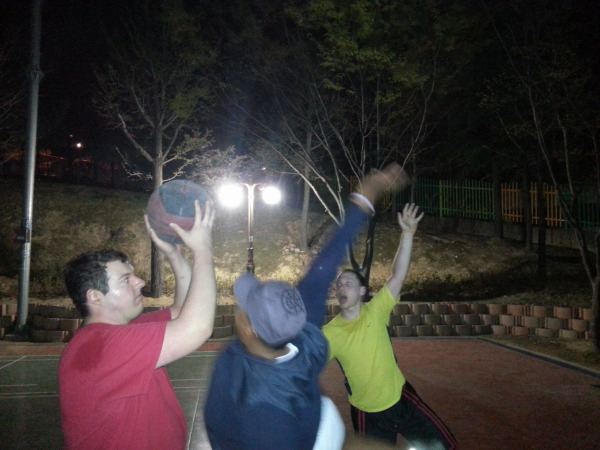 That's why I am so glad to be here in Korea because we get all four! And I'm going to take advantage of this amazing weather by spending it outside. 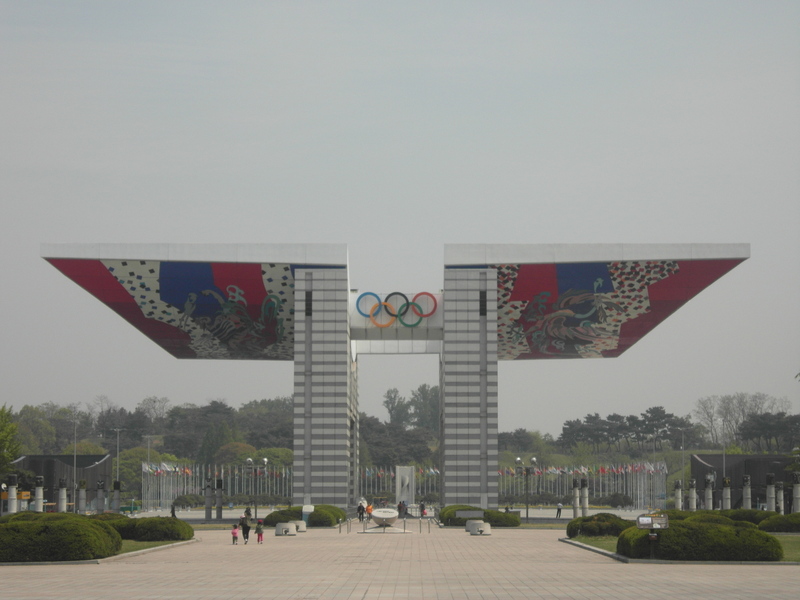 One of the best outdoor places in Korea to get your exercise and get your culture on is at Seoul Olympic Park. I'm sorry, I cheated on a previous blog post. 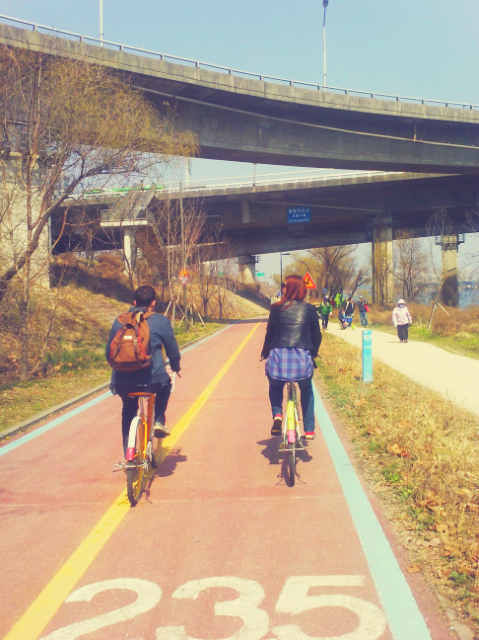 I recommended a bike ride along the Han River in Seoul as a fabulous Spring activity if you are living and teaching in Korea, yet my feet hadn't connected with pedals in almost a year. In an attempt to redeem myself, I along with two friends, ventured into Seoul this past Sunday and were successful in renting bikes and having a grand and glorious day. We saw kites, kid cars, bball players, swan boats, speed walkers, unicyclers, tandem bikers, gardeners, and dancing toddlers to name a few. Everyone was out on the river this weekend and you should have been too. Something about being near water is simply relaxing. When the weather finally agrees to reward Seoul, Korea with a mild and sunny day after a brutally long winter people tend to flock to the Han River. Here are 10 ways to enjoy the river in the coming months while teaching English in Korea.